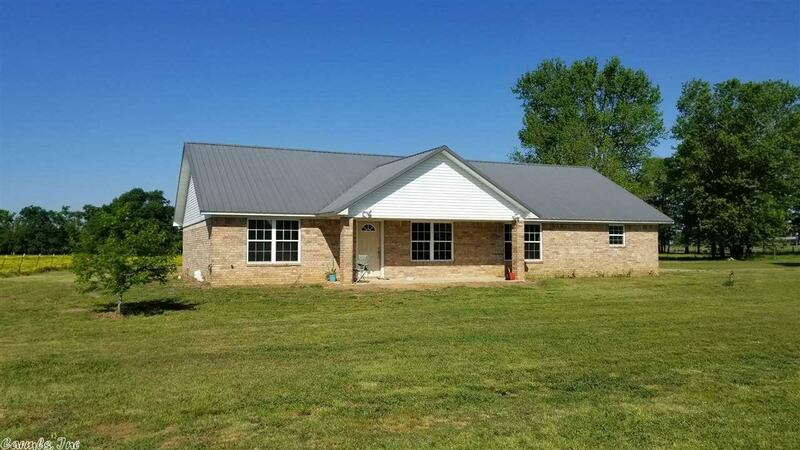 All Brick Home, Pond Access, Fenced Acreage. Home features 3BA, 2BA, Vaulted Ceiling in Living Room with Open Floor Plan. Kitchen has large breakfast bar, gas stove, microwave, large walk-in pantry. Master Suite features double vanities with granite sinks, jetted tub with tile surrounding, separate shower, and double closets. Sun Room surrounded with windows for gazing at the deer and wildlife. Mud Room with floor drain, Den/office area, New Flooring, New Lighting in some areas.